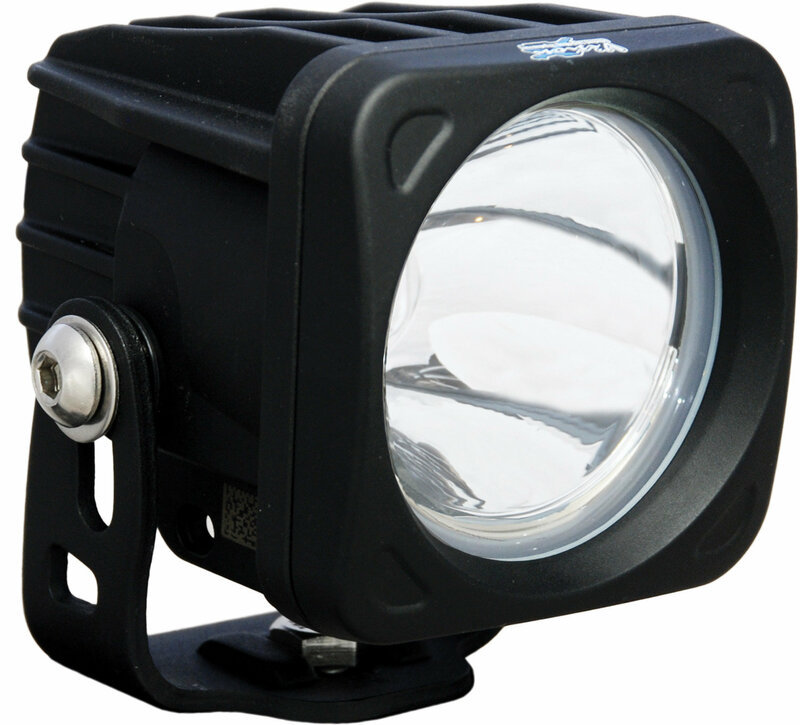 The Vision X 3.25 square off road light features 10 Watt LED technology, a spot beam pattern that offers you great distance with little spread to the beam, and black powder coated die-cast aluminum housing. 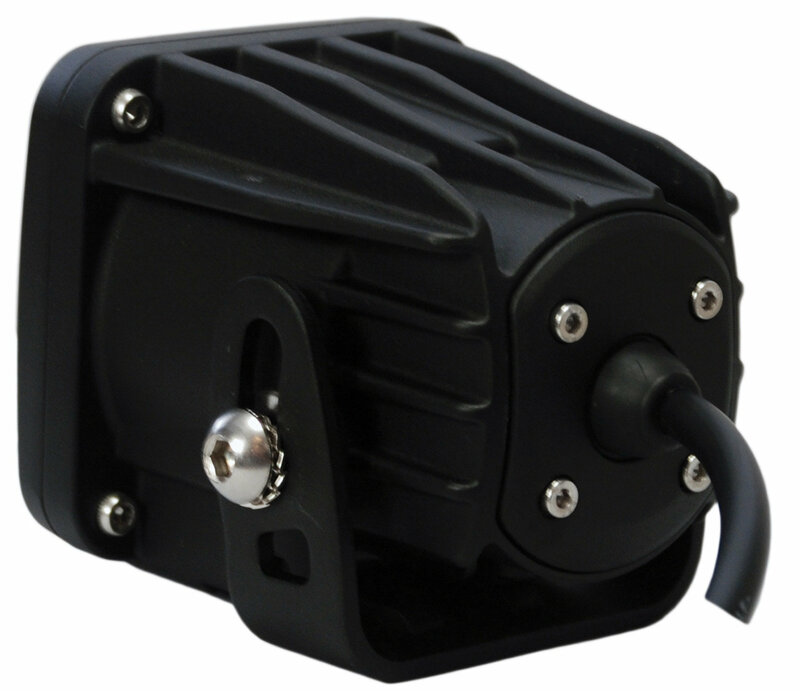 Vision X Lights come standard with an Extended warranty, and multi-volt 12-32V DC input. This light weighs 1.25 pounds and offers a mounting depth of 2. It offers proprietary IRIS reflector technology and Prime Drive for enhanced reliability and output. The new Optimus Prime doesn't sacrifice light output to achieve an ultra-compact housing. Actually the opposite. The Optimus Prime outperforms traditional Halogen Off Road Lighting solutions in both distance and output, all while fitting within a housing that doesn't look bulky and in the way. So put away the huge, awkward looking lights, and get the driving lights that will amaze you every time you light them up. The Single Optimus Prime throws 1 lux of light 680 feet. For comparison, a motorcycle headlight low beam measures 1 lux at 88 feet, and high beam 1 lux at 153 feet. The Optimus Prime is truly "lighting evolved". 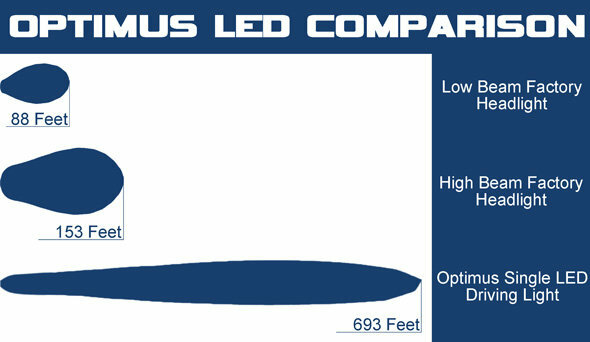 The Optimus Prime with Prime Drive drives the LED more efficiently while managing heat levels. This means more light from the LED and a longer lifespan. This is advanced LED technology in action. The Optimus Prime utilizes integrated Pulse Width Modulation (PWM) dimming circuitry to manage heat levels. PWM works by flashing the LED at a frequency faster than the human eye can detect, reducing the time that the LED is operating while still delivering 100% light output. 1. Drilling May Be Necessary.